Although many of the usual purchase grape wine, there are connoisseurs of homemade fruit spirits. A rich palette of flavors, ease of preparation and availability of raw materials – that's unquestionable advantages of such wines. 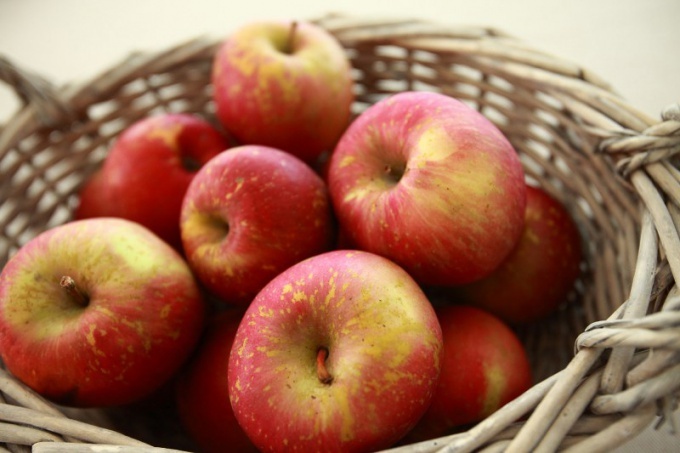 Apples - this is one of those ingredients that are available to everyone and throughout the year. Preheat the oven to 220оС. On a baking sheet, covered with baking paper, place the apples in a single layer. To wash and clean them is not necessary. Bake the apples until, until their peel is not pomicnim, and they are soft. Allow the apples to cool. Remove the Apple stalk, seed pods and the seeds themselves. You can cut and peel apples the way you want, because you will need to turn them with the peel in the puree. Slices of apples put in a blender or food processor. Preroute. You do not need to achieve smooth, uniform texture, fairly coarse puree. Put the resulting mass in a container and pour water so that it barely covers the apples. Stir in 2 teaspoons of tea per liter of the total volume. Tannins in tea will give the apples to rot before it will ferment. Add 1 kilogram of sugar for every three liters of water mixed with Apple cider mass. Sugar not go to sleep all at once, but little by little, stirring each time. Pour some Apple juice with water in a small container and mix with a wine yeast. Pour the mixture into the fermentation container and close the lid. Leave on for 4-7 days at a temperature of about 22oC. If you have a hydrometer, check them a few times raw. If the readings are in the area of 990 grams, add sugar, because you get too dry wine. If more than 1020 g, put about 1 dessert spoon of yeast as the wine turns out too sweet. After about a week, strain the raw material through a sieve or cheesecloth. Pour the resulting liquid in a glass bottle, tightly seal and leave for a few months, until the end of fermentation. An indicator of the readiness of the wine – the lack of cloudiness and sediment. You can take Baker's yeast instead of wine, but remember that they can произdодить to 14% alcohol, while wine is from 15 to 18%. Depending on the apples you will obtain wines with different flavors. Stick on bottle labels with information about what apples the wine when it is delivered, record the proportions of yeast and sugar, look for your perfect recipe.